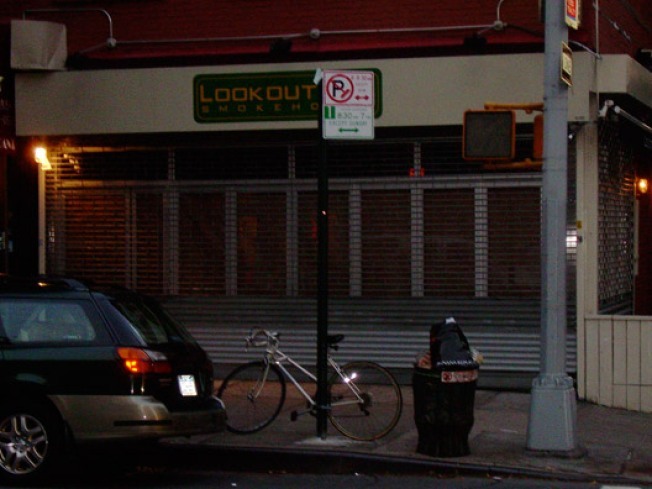 Park Slope: The four month-old Lookout Hill, the latest bbq spot to take over the corner of 5th Avenue and President Street in Park Slope (it was just recently Biscuit BBQ), has closed. The place has been dark, gates drawn for the past week now and a call over to the owner's other restaurant, Cornelia Street Cafe, confirms. Our Park Slope operatives tell us the space has held a least four different restaurants (including the jazzy Night and Day and the fusion spot Bibi's) in the last seven years, automatically qualifying the space for the Doomed Restaurants List.